For the past few years, Princess Cruises has worked to improve culinary options onboard its ships. Since it’s headquartered in nearby Santa Clarita, the cruise line didn’t have to look far to find worthy collaborators, including L.A.-based chefs Ernesto Uchimura, formerly of Umami Burger and Plan Check, and Curtis Stone of Maude and Gwen (and some television work here and there), both of whom have opened restaurants on Princess ships. Recently, the company has put its focus on shore excursions. In March, Princess announced a partnership with Bon Appétit to co-develop culinary experiences at various ports of call around the globe. While many of these activities are “recommended” by the publication, a small number are “exclusive” to the partnership. For those, Princess has shrewdly sought out expert tastemakers who really understand a particular port’s food scene to craft memorable experiences off the ship. Cruises leaving San Pedro (and San Francisco) and traveling to ports along the California Coast and the Mexican Riviera now offer new excursions curated by writer Bill Esparza, a longtime Los Angeles contributor. 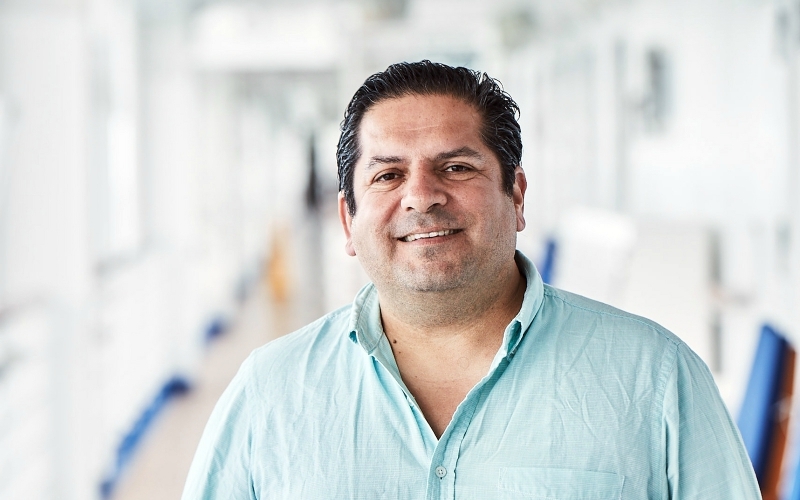 Esparza’s personal relationships with chefs and restaurants allowed him to create some unique opportunities for guests, particularly in Ensenada, Mexico, where his curated culinary excursion has the Bon Appétit “exclusive” branding. Even on the somewhat more conventional Santa Barbara tour, which sprinkles a few culinary stops amongst visits to cultural landmarks, Esparza selected a restaurant to showcase modern Mexican/Mexican-American cooking, which he’s dubbed Alta California cuisine. 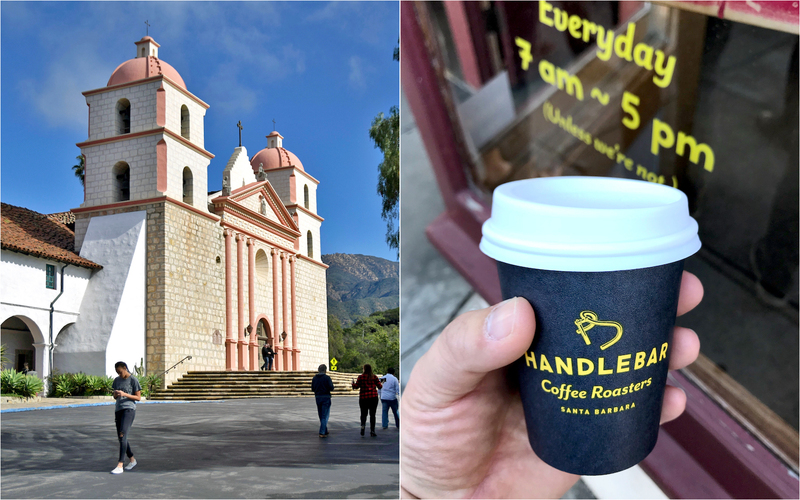 After a visit to the Old Mission Santa Barbara, a quick caffeinated pitstop at Handlebar Coffee Roasters, and a walking tour of the Spanish Colonial Revival-style County Courthouse, tour-goers sit down to a selection of signature dishes from Corazón Cocina in the Santa Barbara Public Market, a bright food hall and marketplace within walking distance of the courthouse. There, chef Ramón Velázquez puts out his own interpretations of classics like Baja-style tacos de pescado made vegetarian with battered cauliflower instead of fish, or the Norteño, an homage to perrones—a grilled flour tortillas topped with steak, beans, and guacamole—from Tacos el Yaqui in Rosarito. With the use of farmers’ market ingredients, modern techniques, and house-made tortillas, Corazón Cocina would fit right in with L.A.’s Guerrilla Tacos and B.S. Taqueria, as well as Taco María in Costa Mesa. Participants then head to the Santa Ynez Valley—Los Olivos to be exact—for an unconventional wine tasting at Saarloos & Sons. 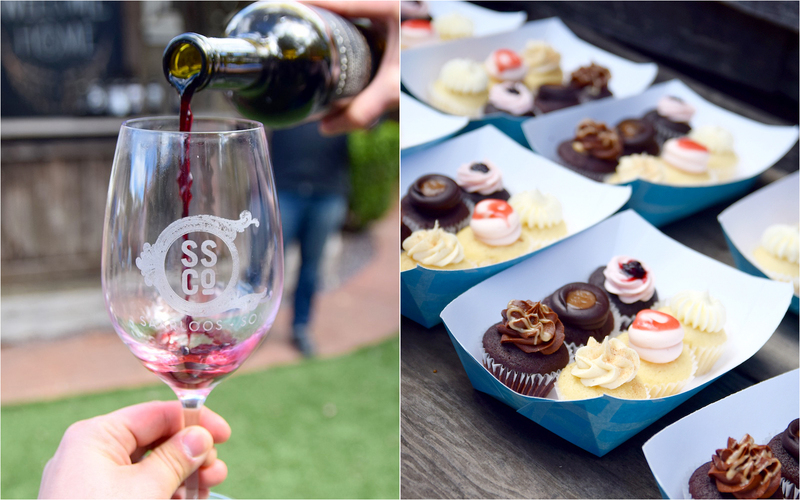 Owner Kevin Saarloos is an excellent storyteller and leads an unpretentious tasting of a half dozen of his family’s wines, paired with mini-cupcakes from Enjoy Cupcakes. With bottles named Mom (Grenache Blanc); Blood, Sweat, and Tears (each a different Syrah); and Broer (“Brother” in Dutch, Grenache Noir), the wines all have their own backstories and feature old family photos on the labels. In Ensenada, the excursion consists of stops at four very different restaurants and wraps up, as in Santa Barbara, with a wine tasting. 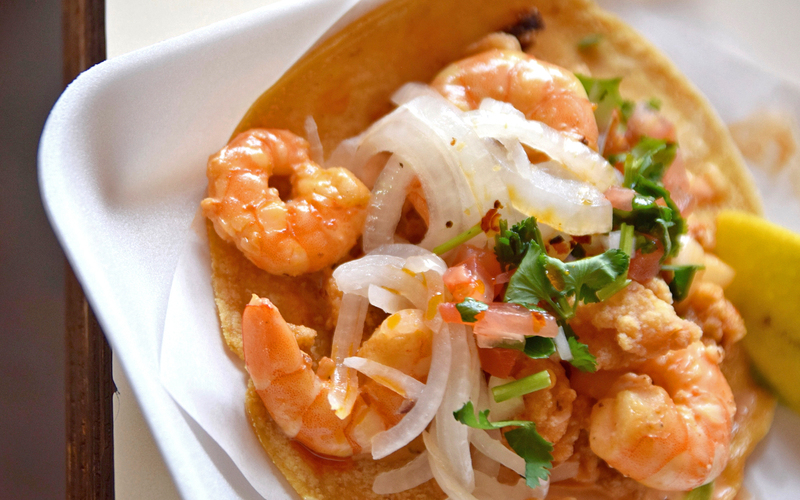 The first destination is Tacos Marco Antonio, which is located about a mile away from the port and tourist areas. Packed with locals, the decor is industrial, a reflection of the eatery’s former life as a cannery. 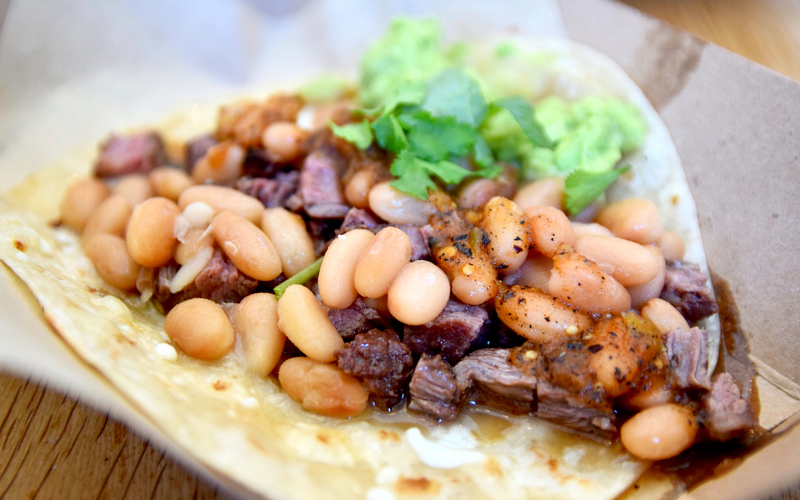 The menu features tacos made with a variety of tuna preparations, like carnitas and al pastor—and other methods traditionally applied to pork or beef—as well as shrimp in chipotle sauce and even some chicharrónnes de pescado, a.k.a. fish cracklins. Next, participants head to Boules. Named after the steel balls used in the French game pétanque, Boules is a cozy restaurant with a large yet intimate back patio. 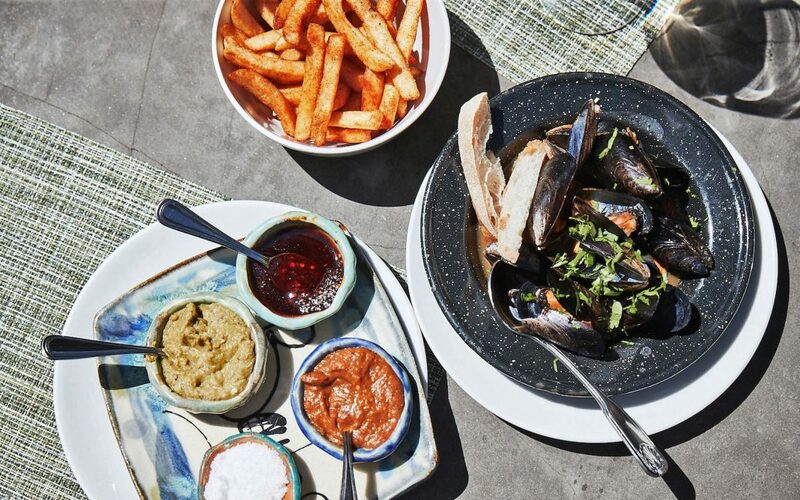 Boules sources locally farmed mussels for its take on the classic Belgian dish moules-frites, which is accompanied by crispy fries and a trio of fiery salsas. Wine pairs naturally with this dish, and the bottles poured here can conveniently be purchased at La Contra, a wine shop that adjoins the restaurant. Alternatively, the excursion may substitute Boules with a stop at Muelle Tres (“Pier Three”), which was opened nearly a decade ago by chef Benito Molina, a pioneer of modern Baja cuisine, and subsequently sold to David Martinez, brother of Boules owner Javier Martinez. Many of the staff at Muelle Tres stayed when ownership changed, and it still turns out some of the best mariscos in town. Speaking of chef Molina, the third destination is his acclaimed Manzanilla restaurant—named one of S. Pellegrino’s 50 Best Restaurants in Latin America in 2014—which Molina runs with his wife, chef Solange Muris. 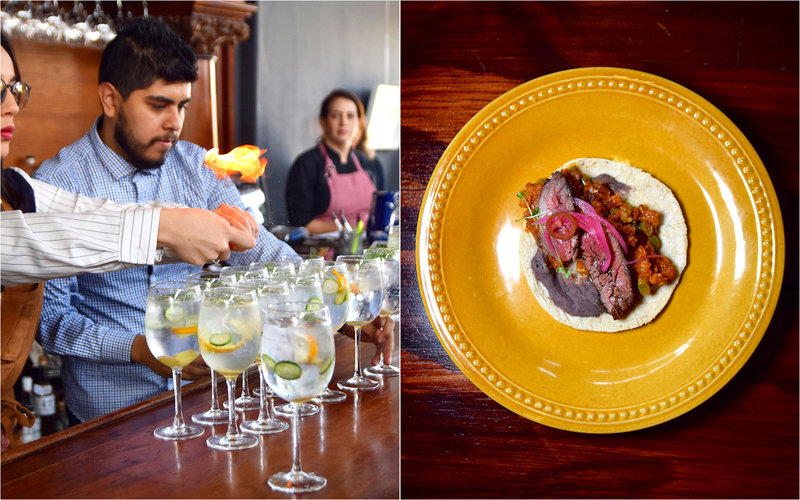 Guests start with a house special gin and tonic cocktail, a small bite on a tostadita, and their taco of the day, which may be filled with octopus one day and steak the next. Like Boules, Manzanilla also has a La Contra wine shop in its xeriscape courtyard, albeit a miniature version, no larger than a tool shed. Food-wise, Esparza saves the best for last: Sabina Restaurante. Owner Sabina Bandera, who has operated her street cart La Guerrerense since 1960, opened her eponymous restaurant just two years ago. While the cart has a perennial line, Sabina Restaurante, situated right across Avenida Alvarado, has no shortage of customers. The same raw dishes, like the award-winning tostada de erizo con almeja—sea urchin tostada topped with raw clams—can be ordered at both spots, but the restaurant’s kitchen allows Bandera to offer hot items like fried fish tacos and pozole de mariscos, a soup made with hominy corn and replete with local seafood. 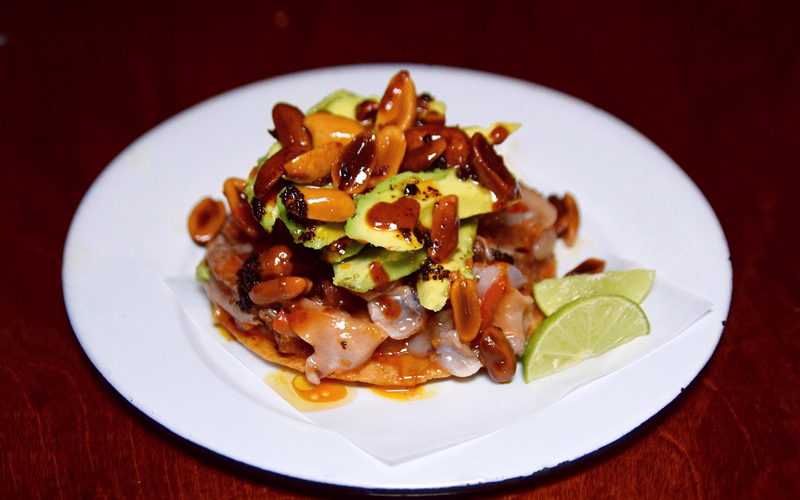 Tour-goers get to sample a trio of Bandera’s signature tostadas, topped with sea snails, tuna ceviche, and sea urchin. While the seafood is as fresh as can be and needs little in the way of condiments, one would be remiss to pass over the dozen-plus salsas, all house-made, including the ever-popular chilitos de mi jardín (“small chiles from my garden”), which consists of peanuts in chile oil and is sublime in its simplicity. With bellies full, passengers walk a few blocks to Ensenada Vinos, a wine shop with a small private patio perfect for wine tasting. No cupcakes or other food is paired with the wine, but it’s doubtful anyone is hungry after the marathon of eating at the previous four stops. Everyone is invited to buy a few bottles of whatever they enjoyed to bring back to the ship, which allows two bottles per guest. While the Bon Appétit partnership is focused on shore excursions, Princess complements the port experiences in a variety of ways back onboard. Staterooms air the “Alta California” episode of KCET’s Emmy-winning The Migrant Kitchen series, featuring Esparza and chefs Wes Avila (Guerrilla Tacos), Ray Garcia (B.S. Taqueria, Broken Spanish), and Carlos Salgado (Taco María). Esparza’s book L.A. Mexicano (named this publication’s cookbook of the year) can be found in the ship’s boutiques. Cooking demonstrations, tequila tastings, and specialty dishes on menus throughout the ship round out the onboard culinary experience available for itineraries that stop in Santa Barbara and Ensenada. The aforementioned collaborations with chefs Curtis Stone and Ernesto Uchimura mean passengers have plenty of culinary options onboard beyond the main dining rooms. The Wheelhouse Bar, the only place on the ship that offers live music while dining, turns into the Salty Dog Gastropub each night. 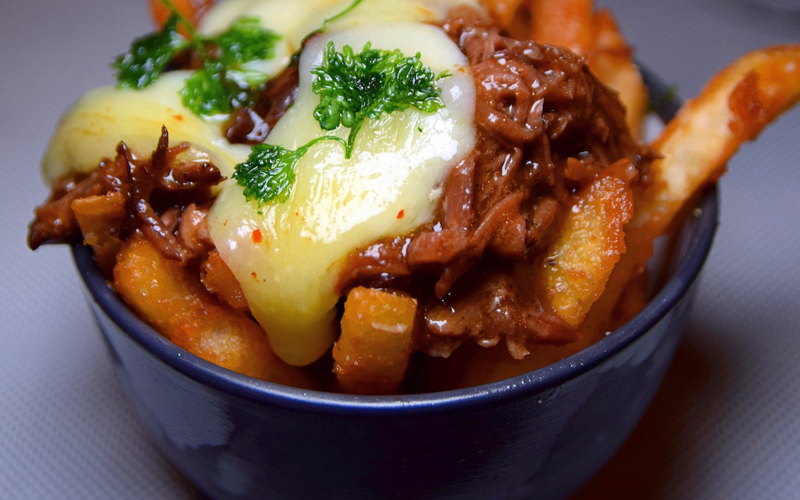 Here, Uchimura’s hearty menu, including beef short rib poutine, lobster mac and cheese, and the “Ernesto” burger, are portioned on the small side, by design, but guests may select multiple dishes to mix and match for an almost tapas-like experience. Share, Curtis Stone’s full-service restaurant on the top deck aft, hosts a more accessible six-course affair compared to the impressive but lengthier tasting menus at his landlocked restaurants. Christian Dortch, one of Stone’s chefs, spends half his time at Gwen in Hollywood and the other half overseeing operations across the three Princess ships that boast a Share restaurant onboard. Ben Aviram, Stone’s director of operations, curated the wine list. 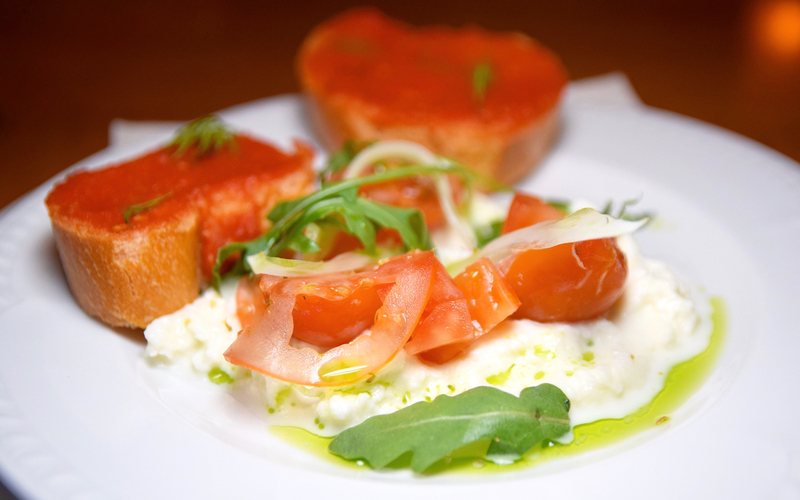 Service is top-notch, as is the food, from starters like tomatoes and burrata and lemon poached prawns, to main courses like steelhead trout and lamb loin. While having the venerated food publication’s seal of approval on certain excursions is reassuring, more meaningful is having tours curated by a knowledgeable and passionate experts like Esparza. The experience he curated for Ensenada is a crash course-meets-master class on the best food the port city has to offer. While plenty of tourists can and do find places like La Guerrerense, it takes someone like Esparza, with his decade-long connection to the Ensenada food scene, to forge commitments from chefs like Benito Molina, to close down regular service at Manzanilla in order to serve a few dozen tourists a cocktail, a small bite, and a taco, every time a Princess ship is in port. Cruises are made to make vacationing easy, and this one does the trick. Next articleThe Best Cuban Restaurants and Cafes in L.A.